Who's going to complain about spending more time with the customers? Those miserablists at Westminster Council are at it again, or so it seems. Last year it was double yellow lines and stopping people driving their beloved cars into the West End and parking for free, this year it is stopping pubs using the streets as an extension of their licensed premises. It's easy to poke fun at Westminster Council. Roll the presses and feed the internet with stories of our hard done loveable pubs, and print a picture of a gorgeous barmaid pulling glasses of beer with a smile at Orwell's old hang out, the Newman Arms in Rathbone Street. Never one to miss an opportunity in the season of mischief the London Evening Standard serves us with the goods to brighten our darkening evenings. And as one reader said — "With that pic of the barlady I am sure the bar will be ten deep tonight." I'm sure he wasn't the only one thinking that. No doubt that's why they repeated the photograph on today's letters' page. The Standard are of course being unfair on Westminster Council. They could be bashed for a number of things, but this is not one of them. Same again, please. Readers (or probably sub-editors) get another round in. 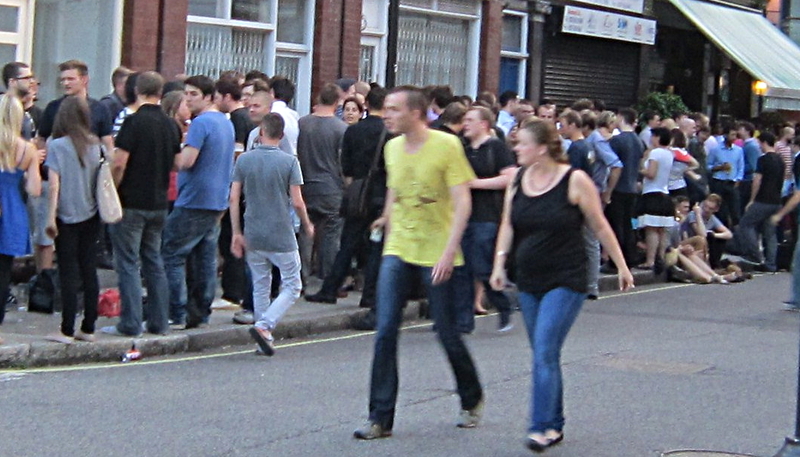 Over the last five years since the ban on smoking in public places came into effect on 1 July 2007 there have been increasing numbers of people standing outside pubs mixing with the smokers. It is now commonplace to find more people standing outside than inside. The sheer numbers of people now gathered drinking outside many of the pubs is a source of noise nuisance and concern about public safety. Those living nearby the pubs, particularly older people, have complained about noise and difficulty in passing along the pavements. Drinking anywhere. Where licensed premises and controlled drinking zones collide. Over the past year or so Westminster Council have been having a quiet word with publicans and asking them to restrict their customers to the licensed area, which is either inside the pub or on the forecourt. Some pubs have placed barriers in an effort to keep customers to remain within them. In other cases Westminster have reviewed the licence (which means the licence could be revoked) and introduced conditions. 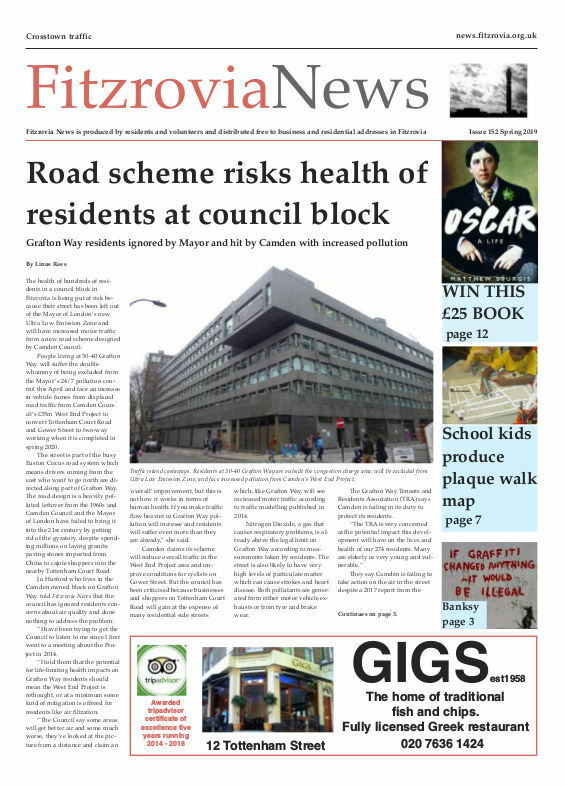 Camden Council have also been concerned about the increasing use of the pavements for drinking. Both Camden and Westminster operate controlled drinking zones (CDZs) throughout their boroughs which means that it’s an offence to drink alcohol in any public place after being asked not to do so by a police officer or police community support officer. The impetus for the CDZs was street drinking by rough sleepers not customers from pubs standing in the street. However, there is now more nuisance from these “legitimate drinkers” than those not fortunate enough not to have such media sympathy. Tracy Bird the landlady of the Newman Arms has hit back at Westminster Council and started a campaign to allow customers to stand beyond the confines of the licensed area and use the pavement and street to make merry. And at a meeting with Westminster’s licensing officers apparently she suggested, with a good dose of sarcasm, that the bar staff serve the customers more slowly. Westminster’s officials didn’t get the joke, or more likely didn’t see the funny side and took her up on the suggestion to limit the number of drinkers crowded outside the pub. 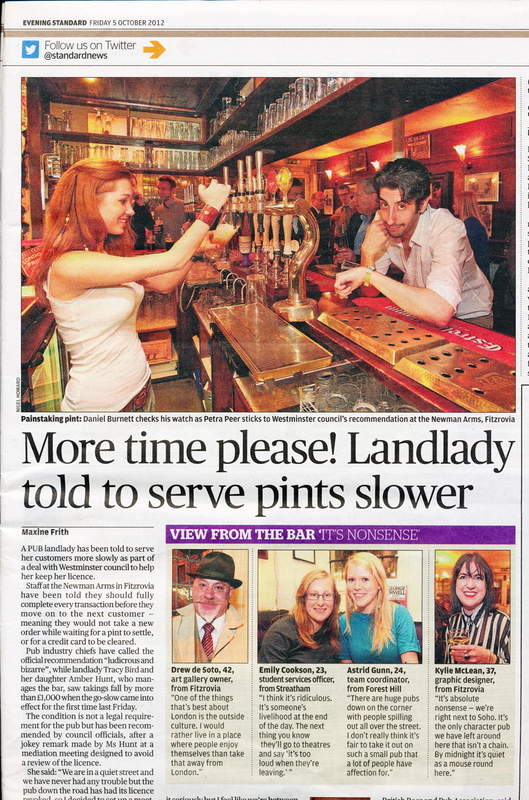 Things got rather serious when Martin Rawlings the British Beer & Pub Association’s director of pub and leisure said “deliberately serving slowly is potentially very dangerous. It makes customers angry,” he told the Morning Advertiser. Ms Bird has launched a petition to encourage an alternative solution to the problem of outdoor drinking in the area, which has already led to licence reviews at other nearby pubs. “We’re thinking about street sharing – where they remove curbs, railings and people aren’t restricted. Or 10 hours a week when cars aren’t allowed through, where we could have street theatre and dancing,” said Ms Bird. Alternatives like Hans Monderman’s creative vision for Shared Spaces. Shared space is an urban design approach which seeks to minimise demarcations between vehicle traffic and pedestrians, often by removing features such as kerbs, road surface markings, traffic signs and regulations. 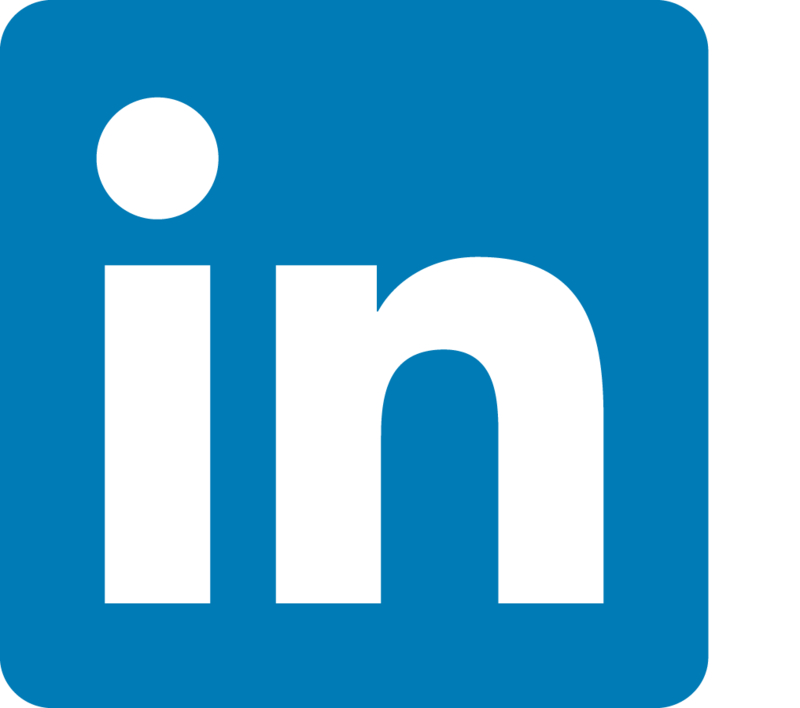 This enables all users to be able to share the space on equal terms. For instance a wheelchair user wouldn’t have to struggle to keep getting up and down kerbs or pushchairs negotiate small areas between lamposts, bicycle racks, trees and the like. We should be encouraging better use of our living streets and taking a holistic approach, not just treating the symptoms of clustered people on pavements. So does that mean there is no limit to a pub’s capacity? The street is now to be part of the trading environment and an extension of the bar area? Is Fitzrovia to become one big, out-sized booze tent? If the punters are going to stand outside, sooner or later they are going to wonder what’s the point of paying around £4 a pint in a pub when Sainsbury’s and Tesco’s will sell you several bottles or cans for around the same price. What is to stop people going into the supermarkets and buying a pack of beer and standing in the street and creating their own pop-up pub? The landlords and landladies of this manor would soon complain, I’m sure. And quite right, too. 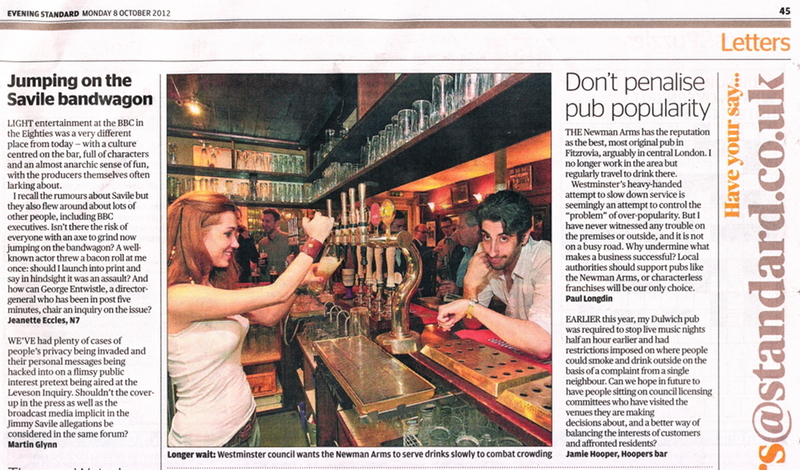 Do publicans want to see the removal of controlled drinking and licensed areas? Will they want to compete with the supermarkets in a race to the bottom? I don’t think so. And nor do most people want a free-for-all where people are descending on Fitzrovia because of a further relaxation of licensing. Let’s enjoy the more than 40 pubs in Fitzrovia, as editors of Fitzrovia News did last year. What makes Fitzrovia a pleasant place to live, work and visit is a sense of balance, and Westminster and Camden as licensing authorities have a difficult job to strike the right equilibrium between residents and pub owners. By and large they do a good job. Nevermind the police and ambulance services who have to clean up after things get out of hand as can happen in other parts of the West End.